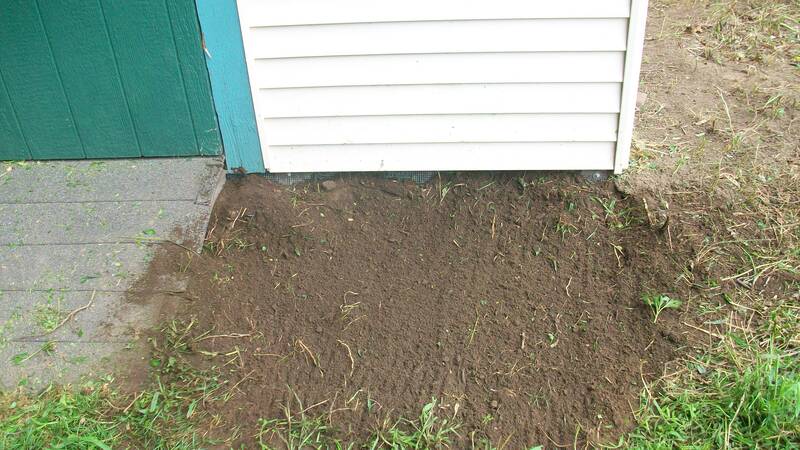 The Rat Wall : This a barrier put in place to keep unwanted guests out. 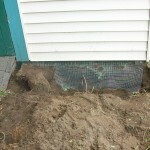 This is done with usually 1/4″ wire mesh (hardware cloth) to prevent even mice from entering the area. 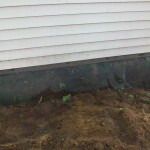 The mesh is attached to a structure and then put into the ground approximately 1 1/2′ – 2′ deep and approximately 1′ out from the structure at the bottom. 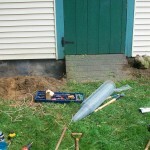 the mesh forms a L shape. 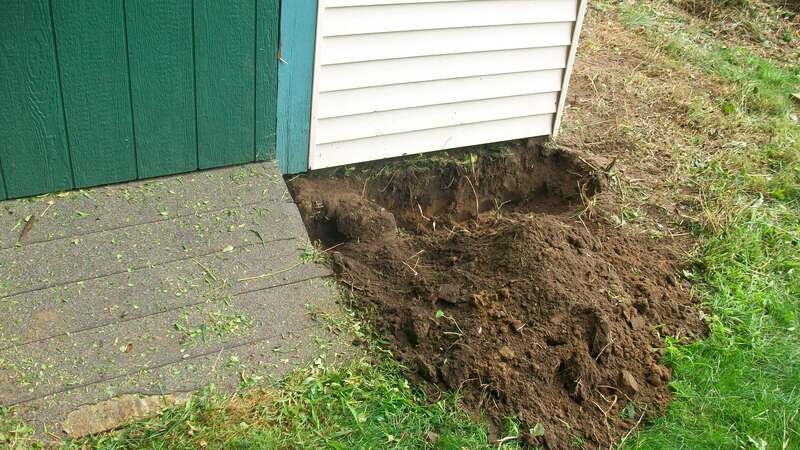 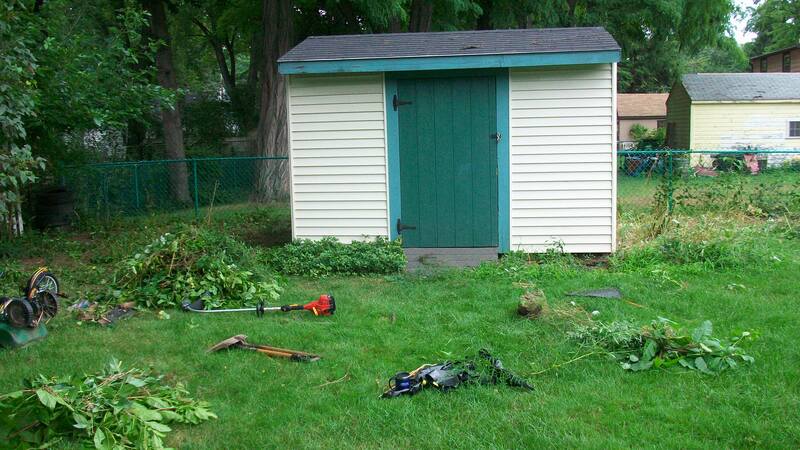 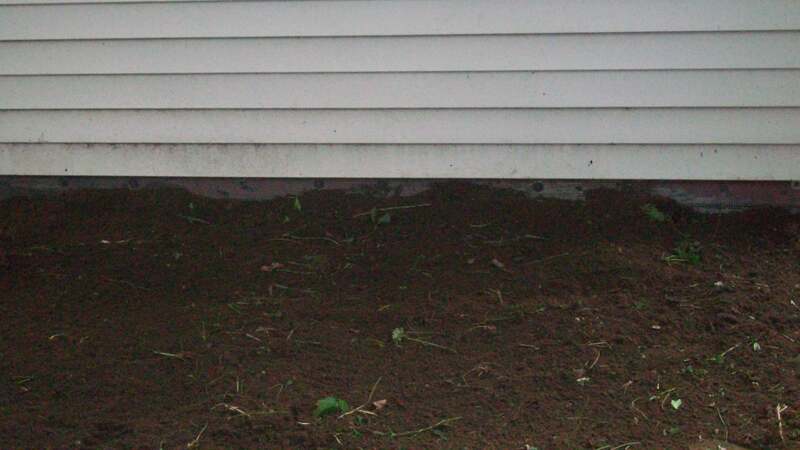 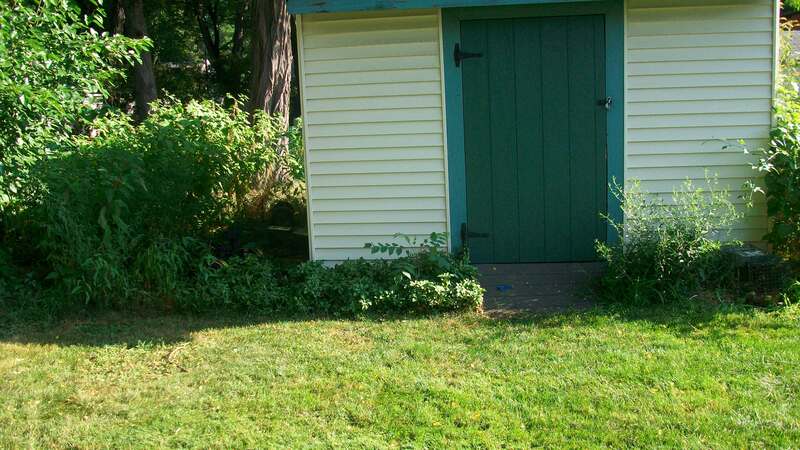 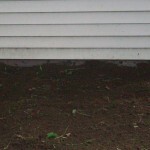 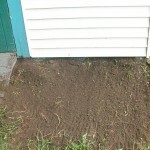 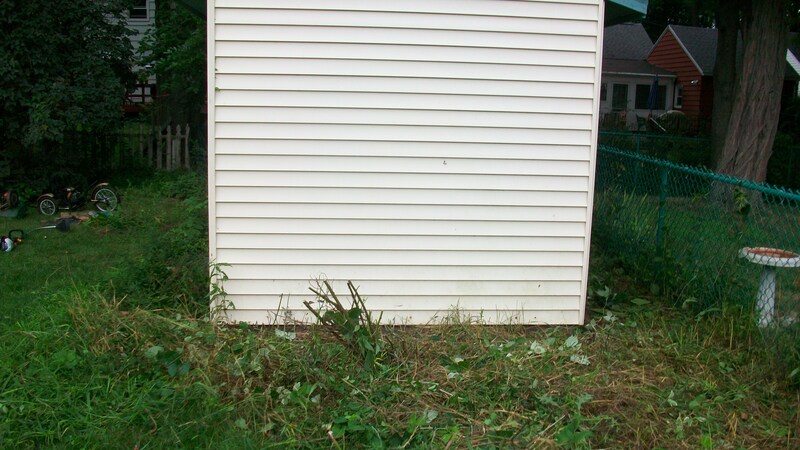 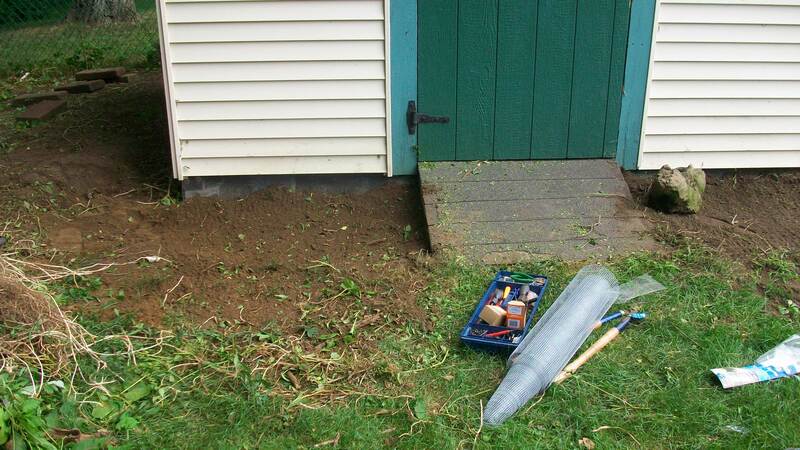 Below is an example of the “Rat Wall” it was used to stop other animals from getting under the shed after the skunks and woodchuck were removed. 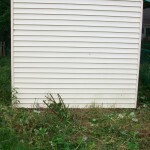 Notice the brush around the structure and how it has been removed. 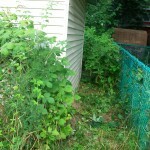 Brush also promotes unwanted wildlife. 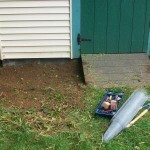 The brush had to be removed. 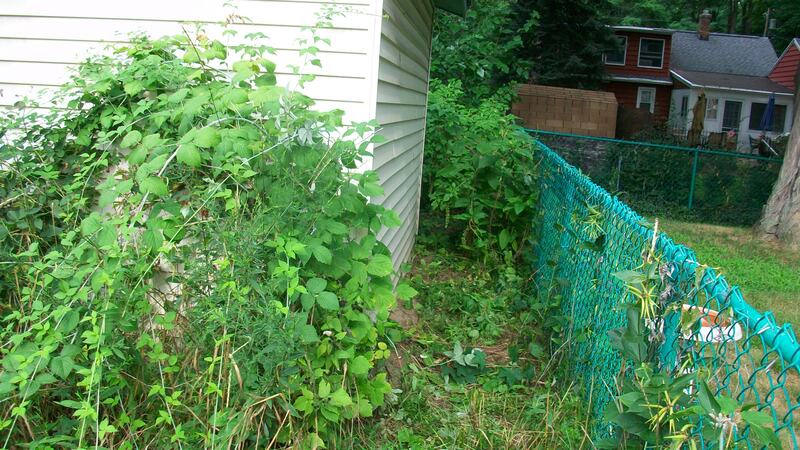 It created a perfect garden of Eden for intruders. 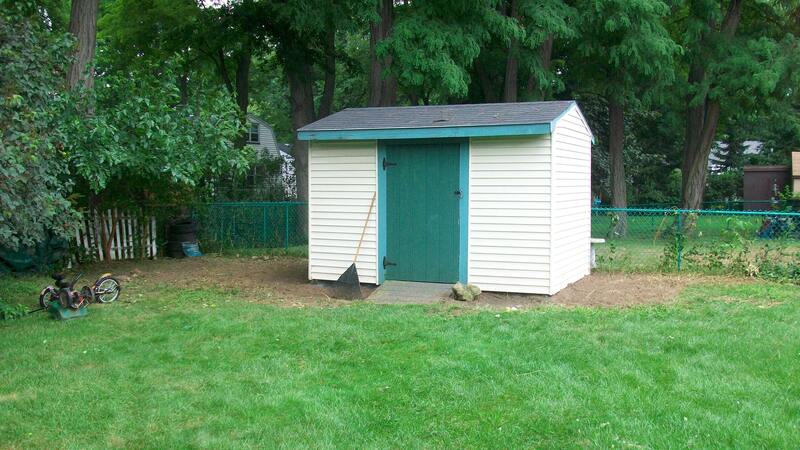 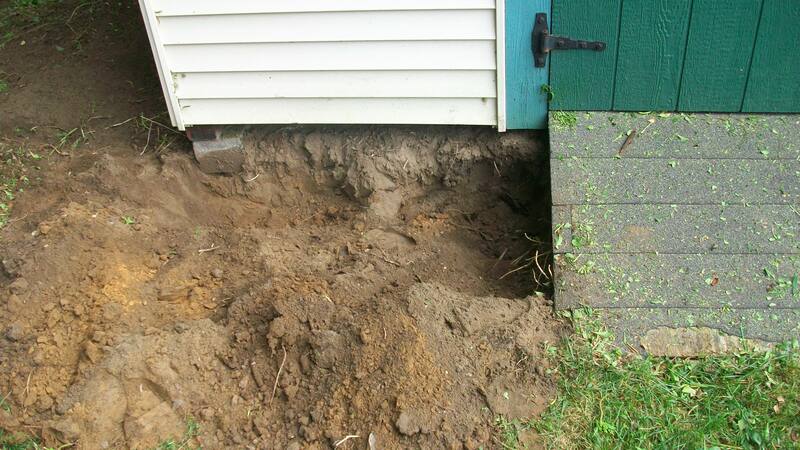 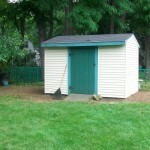 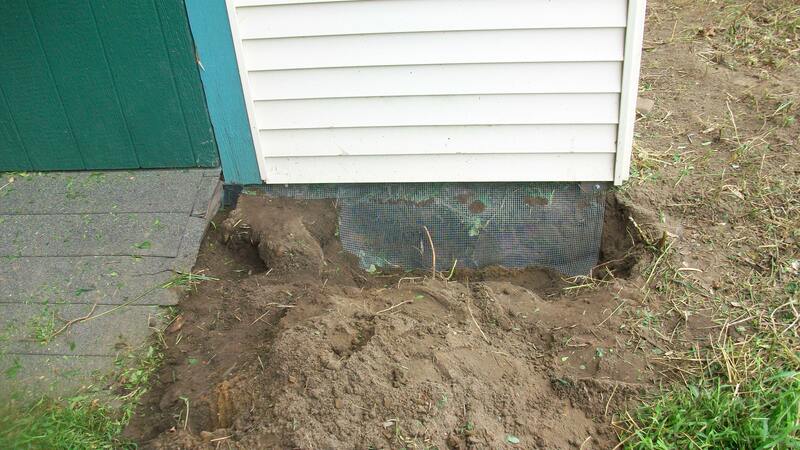 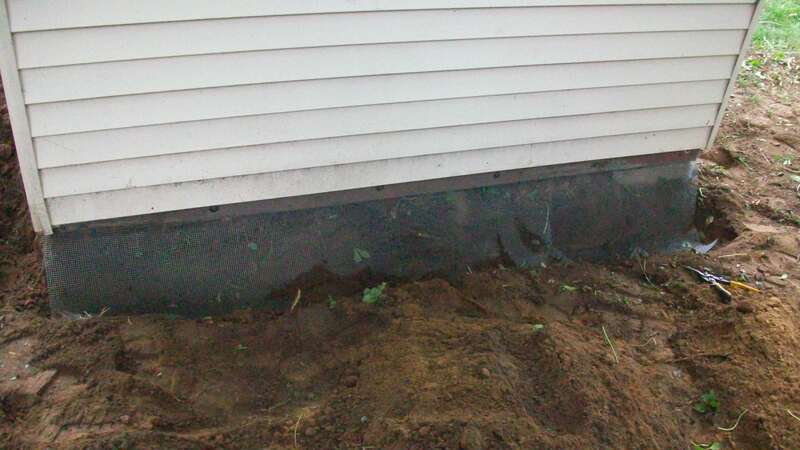 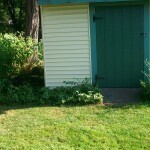 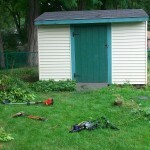 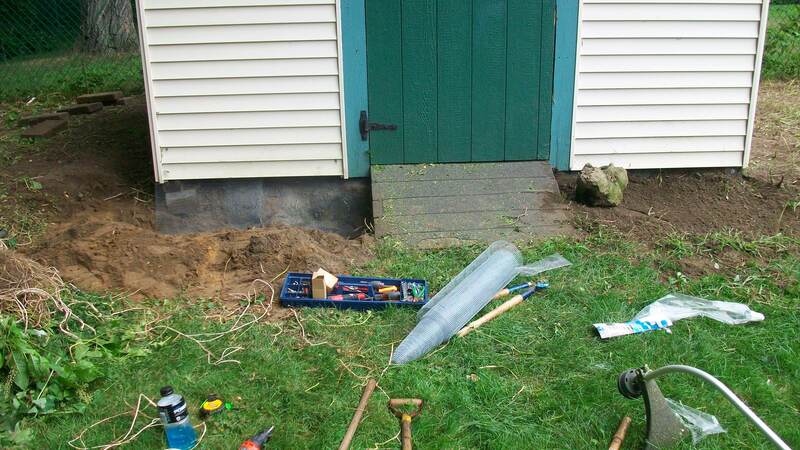 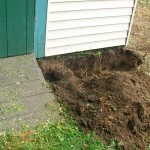 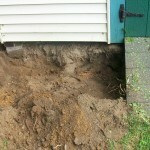 The Rat Wall works well in places such as sheds, patios, porches, decks, foundations, and gardens.